I like this film. A typical PEPLUM which is fine by me. Pascale makes for a fetching Cleopatra. Corrado makes a good rival to her. Some are underwhelmed by the low-key approach of Cleopatra's eventual first meeting with Julius Caesar but its low-key approach is what I like about it. No massive scenes and fanfare to drag the story down. As for Pascale, she had a strong career back in the 1960s but seems to have vanished from the face of the earth. I tried to find a photo of an older Pascale on the web and there is an old looking Pascale Petit to be found but it's someone else, not the actress. I wonder what happened to her. Pascale Petit was indeed cute, but she depicted Cleopatra VII as essentially a frivolous teenage kid. 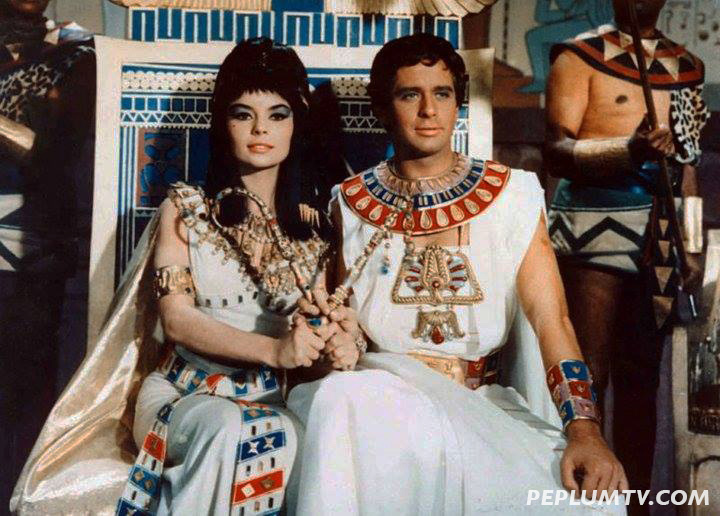 Thee real Cleopatra, however, was intelligent, well educated, multilingual, and a skillful ruler and diplomat. She was 21 and Julius Caesar was 52 when they first met. Hollywood usually has glossed over this 31 year age difference. The exception is the 1945 film version of G.B. Shaw's play with Claude Rains as Caesar. I agree that the lack of "cast of thousands" spectacle is a plus for this film. Such eye candy gets tiresome. This problem has become worse with cheap/poor CGI.